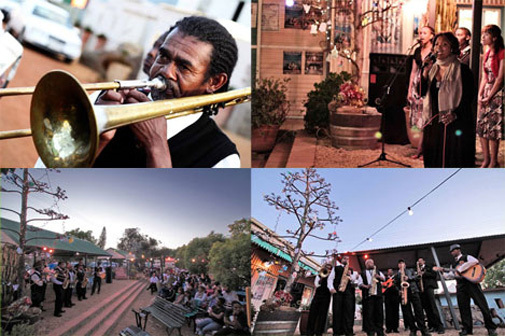 Thank you to Africa and the Bethlehem Crusaders, The Darling Churches Choir, The Men’s Gospel Choir of Darling and Joanne & Johnny Chelan for taking us all into the spirit of Christmas – it was a beautiful Darling evening ‘starstudded’ with the local Darling gems who never miss an event! 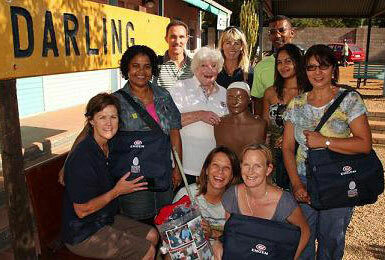 Thank you for your support and we hope this can be the start of a new annual ‘must do’ on the Darling Calendar! 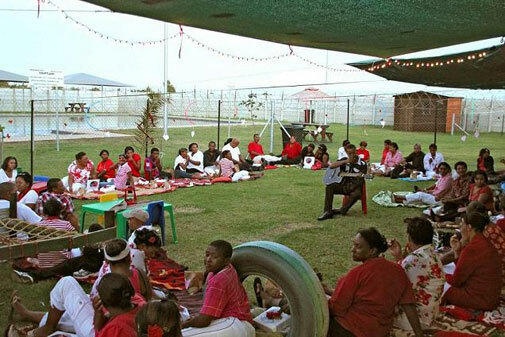 The Early Childhood Development Centre Christmas and End of Year Party! Proud parents, sisters, brothers, aunts, uncles, grandparents and friends! 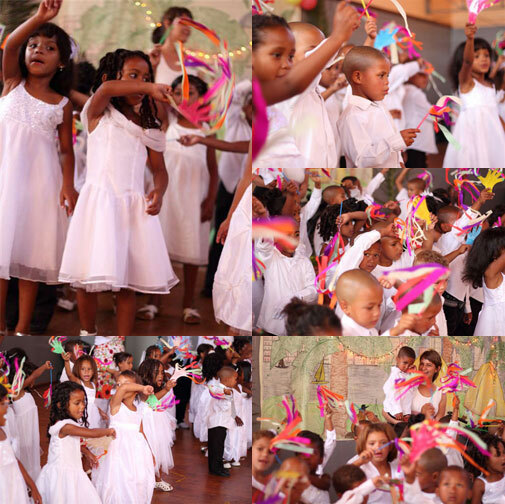 An Evita’s Darlings initiative to raise funds for the Early Childhood Development Centre of The Darling Trust. On behalf of Evita’s Darlings & The Darling Trust, we would like to sincerely thank the following sponsors without whom this event would not have been possible! And to the hard working Evita’s Darlings parent committee and teachers who put many hours into making sure the evening was a success! And last but not least, thank you to those who bought tickets! 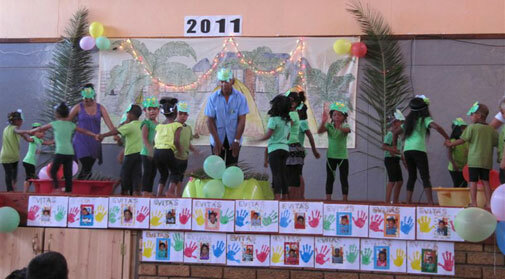 A whopping R8,900 was raised for Evita’s Darlings’ School! Blessings to you all! On 21st June (the shortest day, longest night) the Ladies Lunch Winter Warmer held at Jane Wallace’s lovely home was yet again enthusiastically supported by our Darling Dames – despite that it was 26 degrees, all who arrived were wrapped up in their favourite winter woollies ready for bingo and a lunch to see a winter through! 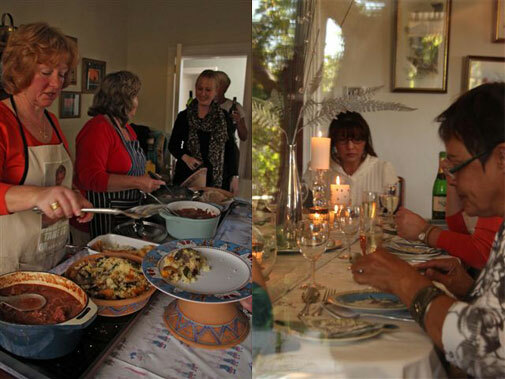 Thank you ladies for all your hard work and determination to keep the fundraising ball in the air – Jane and Rene in the kitchen cooked up a storm to warm any soul and Brenda and Loretta kept the sherry and champagne flowing reminding us to celebrate every day as a gift and one to share with those in need. 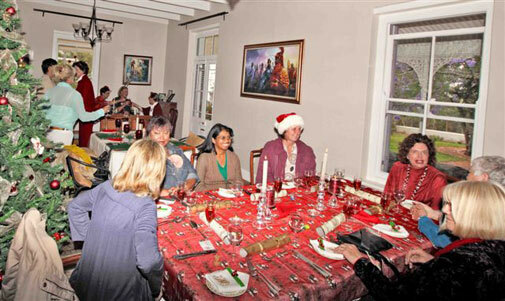 As always we look forward to seeing more of these lovely lunches supported by more and more Darlings. On behalf of The Darling Trust and the Trustees – thank you! On behalf of The Darling Trust, we would like to thank Keith Kirsten, Pieter Kotze from Reliance Compost and Tiptrans for generously donating and delivering a truck load (30m3) of gorgeous, very welcome compost to the Darling Community Garden on Friday 22 July. The community garden gave Darling a ‘face lift’ a few years ago – when the area was transformed from a diesel-soaked railway siding to a green and shady place to rest and gather, watch children play and catch up with passers-by. Initially designed by Keith Kirsten, the people of Darling helped dig and plant, literally creating a garden in a day! And again when the garden needed rejuvenation, everyone brought a spade and ‘mucked’ in. Our community garden really is ‘all about community’. Thank you to all who have made this piece of ‘oasis’ into something which Darling can be proud of! What a Darling little wedding fundraiser they had! 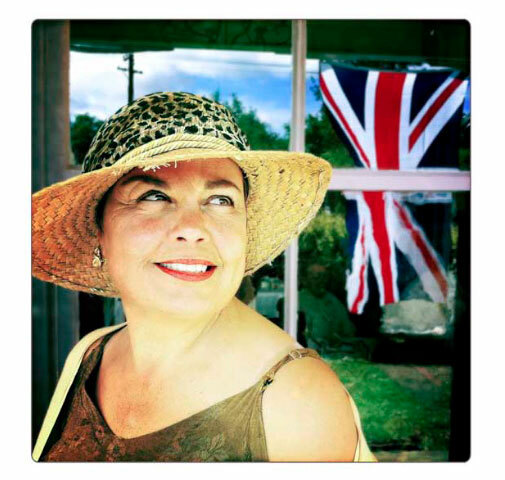 EVERYONE from Joan Rivers to the Queen herself will have something to say about “the dress” and “the hair”, but perhaps the most honest and unfiltered commentary on the royal wedding comes from a houseful of hat-wearing women in the small town of Darling. 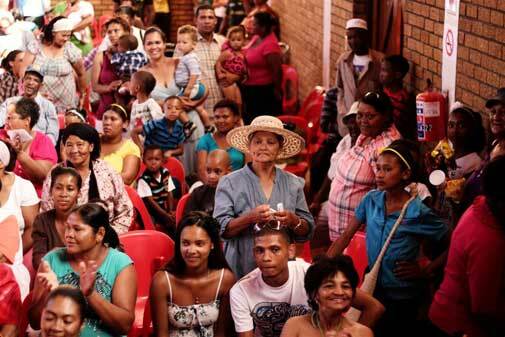 About 30 women in the town beloved of Tannie Evita gathered for a fundraiser luncheon for The Darling Trust – a fund set up by Evita Bezuidenhout’s creator, satirist Pieter-Dirk Uys – and, of course, to watch those royal nuptials. From late-morning the women began sipping cocktails and gossiping about what hat the Queen would choose and the attire of the guests filing into Westminster Abbey. hidley Loedoff said the event was a pleasant reminder that there was still a place where real princesses got their day in the spotlight. While the royal wedding was something that royal followers will never forget, the luncheon was an event that The Darling Trust hopes will make the ladies of the town remember the fund. 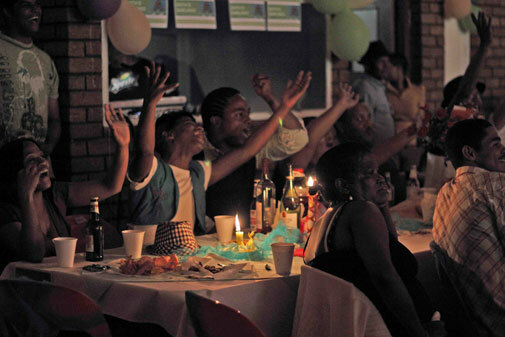 The operations manager at The Darling Trust, says the community is tight-knit and very willing to donate – shelling out R150 each to attend the lunch. 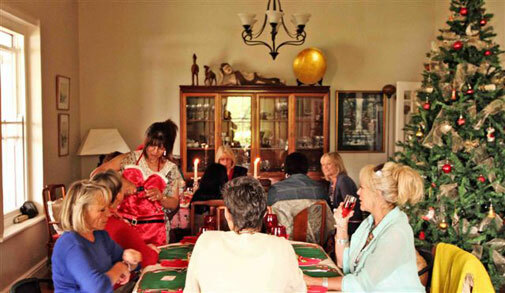 Hostess Jane Wallace has lived in Darling for 18 months and called the fundraiser in her home a “trial run”, saying that if guests had a good time they would come back for more trust fundraisers. A very big thank you to freelance photographers Dale Yudelman and Trevor Samson for these wonderful photos of the ladies! On behalf of The Darling Trust, I would like to extend sincere thanks to Jane Wallace for opening her lovely home. With the help of Loretta Rhoda, Brenda Wintgen, Omnia Grobler, Rene Haslem and the willing husbands who supported these ladies who organised a very, successful Royal Wedding lunch on Friday 29 April! Royalty comes with different faces and Darling is definitely blessed with the finest ‘royalty’ when it comes to contributing time, effort, love and willingness to support events, which help in so many areas of the community. Thanks to Cloof Wine Estate who contributed to the cheer of the day by generously donating Daisy Darling wine for the event. The Early Childhood Development Centre is growing in leaps in bounds [from opening last year March with 10 learners, to enrolling 80 learners this year with a brand new Grd R class] It’s truly inspiring to see the work that is being done with such dedication and motivation to keep the learners coming back for more and taking home precious tools which they need, for when they go to ‘big school’. 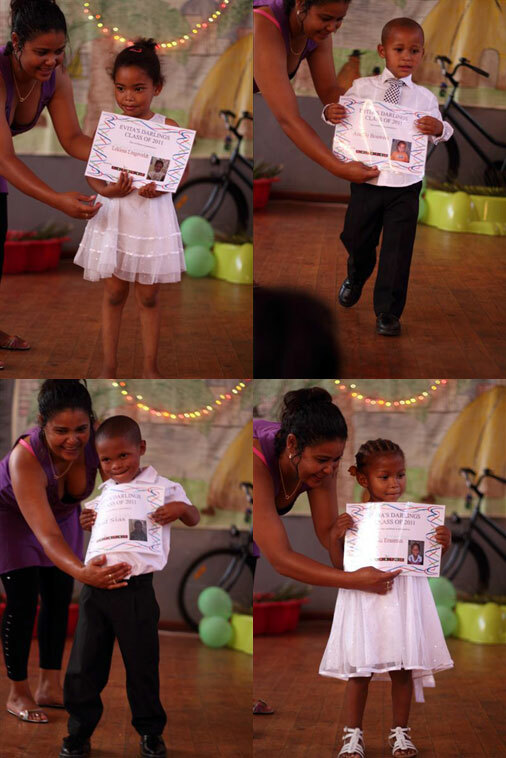 The ECDC now has it’s own PTA, who are also involved in fundraising for various needs at the centre. We are currently installing 2 extra toilets in the second class room and putting up a partition for a little kitchen from which we will be able to feed the 80 learners daily. With this in place we will be authorised to feed our children at least 2 nutritious meals a day. Our music teacher, Judy Wood, is working hard at getting the 50 music students ‘exam ready’ slowly one ‘note’ at a time and you can look forward to a music concert presented by the these students later this year. 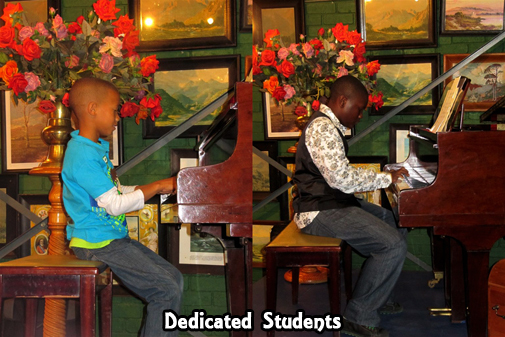 Funding for instruments, sheet music, theory papers and tuition is always welcome – these lessons are free and the students are dedicated and committed. 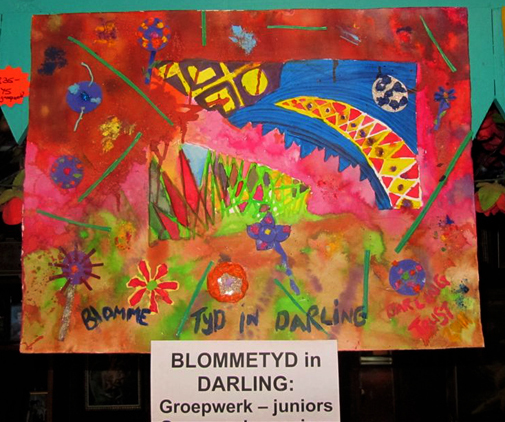 Adri van Aaswegen is injecting the most amazing ‘colour’ into the lives of 20 learners – her lifeskills program on a Saturday builds confidence and strength where there is fear and sadness. Yes dear ladies who were there to enjoy the lovely delights on that very auspicious occasion, you have contributed to the above mentioned outreach programs happening at the ECD and we hope this can be the start of many more events which impacts on our community. Please keep a beady eye for more of these events and thank you in abundance for contributing to The Darling Trust’s cause and making the dream of a better life a reality! 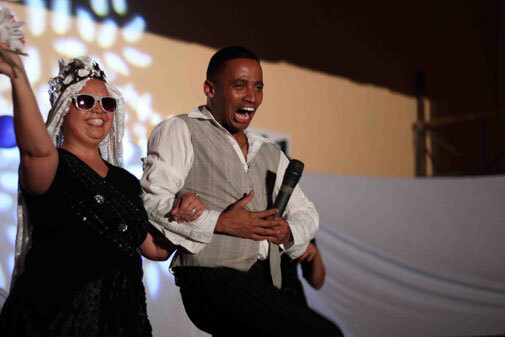 Evita’s Darlings Parents put together a Valentine’s evening to be proud of! Their first fundraiser for the year. With 100 moms and dads camped out on a beautiful evening at the Early Childhood Development Centre’s playground, everyone in red! All tucking into delectable picnic boxes for two with all sorts of goodies generously sponsored by: Cloof Wine Estate, Check-In, Darling Chickens, Darling Golf Club, Darling Meat Market, Darling Romery, Darling Spar and all the keen locals from Café Mosaic’s Stoep! 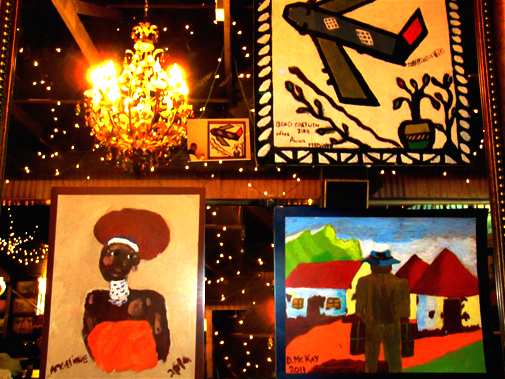 There were three lucky draw prizes – kindly donated by Bistro Seven, Darling Hotel and Rita Uys. 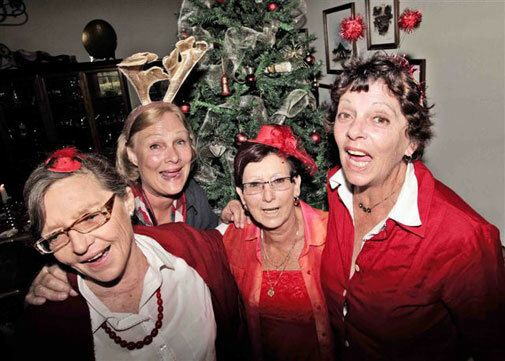 On behalf of The Darling Trust I would like to thank all the ‘Ladies that Lunched’ in 2011! Your support of the events which Jane and Loretta so caringly prepared and organised in aid of The Darling Trust’s cause, is greatly appreciated. Each of you have contributed in your own special way by attending, spreading the word, buying gifts, making the dishes and caring about the Darling Community. Very needed fans for the 2 Grade R classes at the ECD centre were bought as well as an essential awning being welded as we speak to go up against this summer’s heat! THANK YOU! We look forward to many more occasions where we can answer questions to make it easier for you to ‘spread the word’ amongst those who have yet to attend! 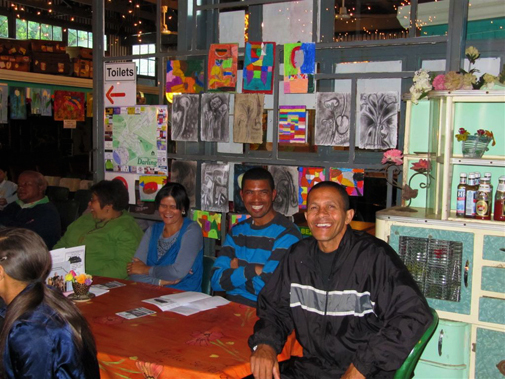 Thank you in bucketfuls and be sure to look out for the next gorgeous event! Thank you very much for inviting me and the privilege to have attended, this wonderful evening, I thoroughly enjoyed it. I was so impressed with the number of parents who attended; this shows not only dedication from the children but also from the parents. I was also impressed with how both the music and art classes have grown in numbers. Judy and Adri can really be commended for the work they do. 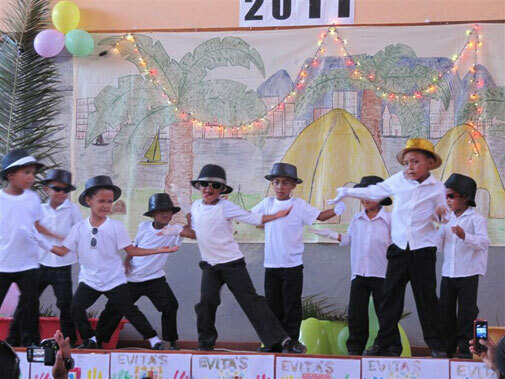 Their passion and love for the children show and that is why the classes are growing every year. 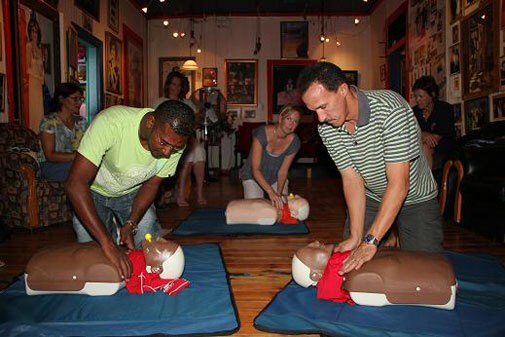 A very important aspect of these classes is the boost of self confidence and feeling of self worth. I met some of these children 2 years ago when they just started attending the classes and the change in their attitudes improved tremendously. They walk onto the stage with their heads held high and they play from their hearts. While looking at the art works I overheard the artists boasting about their paintings and the parents were truly impressed, so was I. Last but not least another person to be commended is Oom Niklaas who is such a strong pillar of support and I really appreciated the fact that his contribution to the success of these classes was acknowledged. Thank you very much and once again congratulations on a stunning event. Thank you BATA South Africa for their generous donation of 400 pairs of boy’s and girl’s school shoes to The Darling Trust. 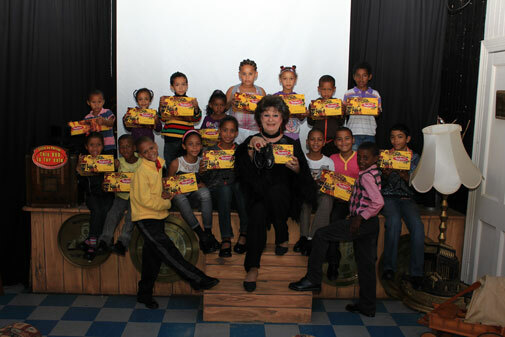 On Sunday the 12 June, excited children from the community came to collect their shoes at Evita se Perron with Tannie Evita to hand them out. 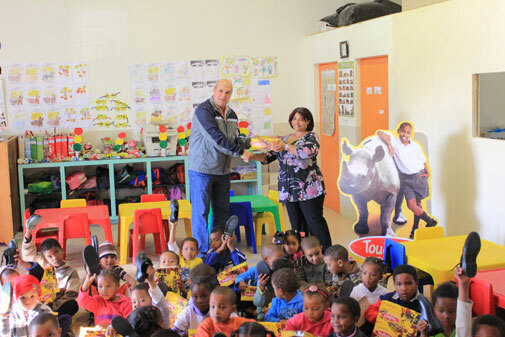 On the 14 June, Bata representatives came to handover 80 pairs of shoes to the children at the Early Childhood Development Centre here in Darling. 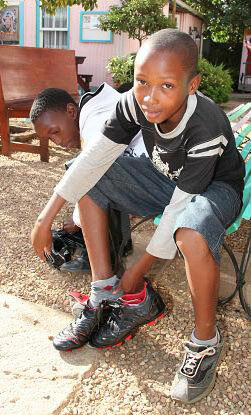 The learners were delighted and couldn’t wait to try on their new Bata Toughies! The balance of this donation will be distributed amongst the rest of the Darling schools in the new term. The Darling Trust would like to sincerely thank Mr Garces and the Bata Children’s Foundation Project for considering The Darling Trust for this generous donation! The Darling Trust would like to thank Anne Twaalfhoven, on behalf of Nike, The Netherlands, for the generous donation of the brand new Nike soccer boots to the Dynamo soccer team here in Darling. Tonja Verheul is the Dynamo’s angel, forever working away at getting them more equipment and sponsorship every year – Thank you Tonja! Needless to say they were overjoyed and couldn’t wait to have their first game with them! This hand over of equipment to the team would not have been possible had it not been for the extra weight allowance from Tonja’s friends visiting Darling over this time – thank you Tonja, Jacqueline, Ellen, Josje en Inge for this (we know you couldn’t bring much of your own clothing with!) 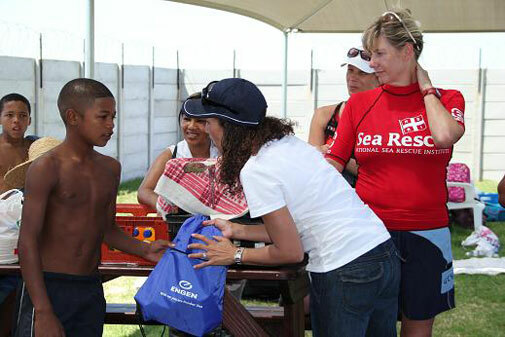 and Merel who sponsored an extra 2 suitcases to transport more luggage. Thank you Merel Fabels de Jong and Reimer Koopal (an 11 year old boy) who sent out the e-mails to many people in the Netherlands and got this enormous response of donations in shirts and boots. This contribution to the Darling community is greatly appreciated and makes it possible for us to come closer to our goals and dreams of a better life for all. The Dynamos continue to grow and evolve. This is only possible because of thoughtful contributions from individuals such as yourselves and organisations such as Nike; Netherlands. On behalf of Semora, The Dynamos, The Darling Trust and the community, thank you for your willingness to help where needed and your generous support. 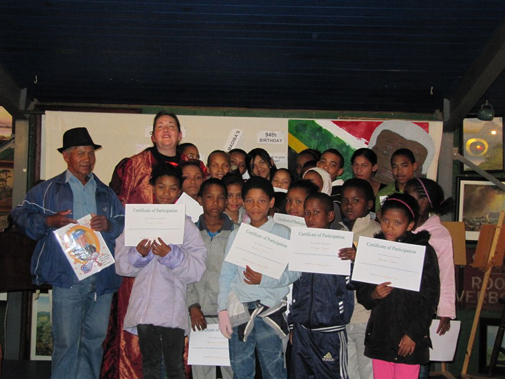 Engen Petroleum funded the WaterWise “Train the Trainer” project in Darling which took place over two days at Evita se Perron and our Community Pool and Education Centre. Sea Rescue’s Educational Initiative, WaterWise, was invited by The Darling Trust to present the training program in the gorgeous little theatre at Evita se Perron. 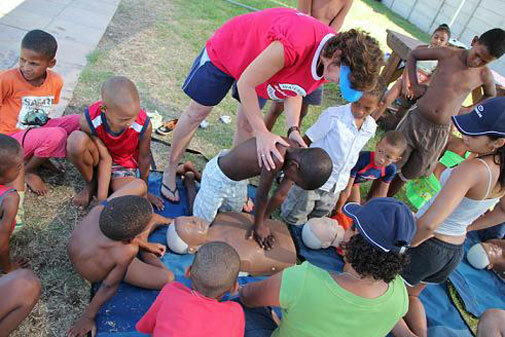 Six local community members had each taken a day of leave, in order to volunteer to learn how to teach water safety and CPR to children who frequent the new municipal swimming pool in Darling, as well as in local schools. The children learned, by demonstration and practice, how to help others in difficulty in water, how to call for help, and how to do CRP. Mr. 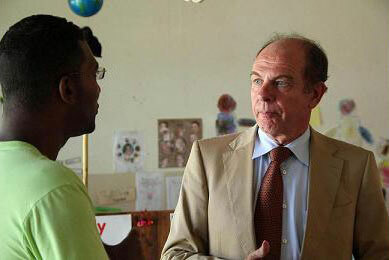 Rob de Vos, Ambassador to the Kingdom of the Netherlands, visited our Early Childhood Development Center with his family and friends.